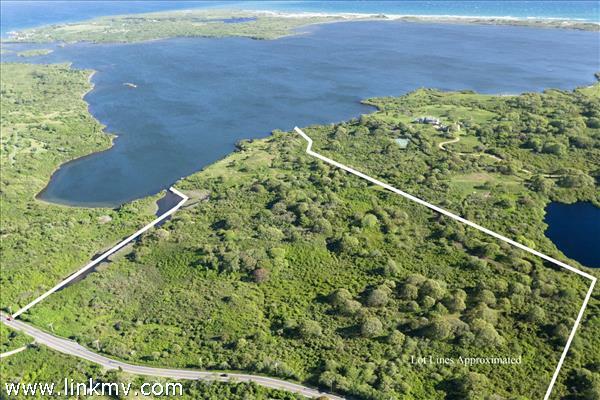 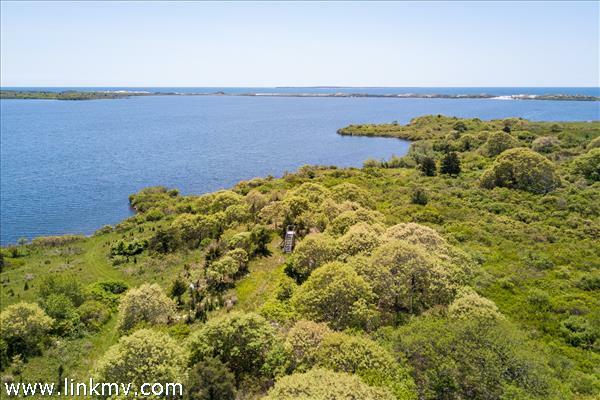 Nestled on the shores of picturesque 603±-acre Squibnocket Pond, this pristine, one-of-a-kind 40.56±-acre waterfront retreat looks southeast over the open expanse of calm waters and winding coastline to the Atlantic Ocean beyond the dune-fringed barrier beach that stretches between the pond and the ocean. 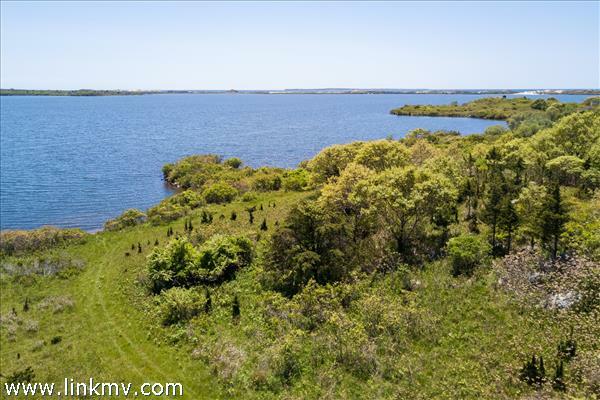 Two potential homesites on the extensive acreage include one tucked by the 1,009±-foot shoreline of this tranquil oasis, an unspoiled natural refuge for bountiful wildlife in a landscape of breathtaking four-season beauty, featuring many varieties of trees and plants. 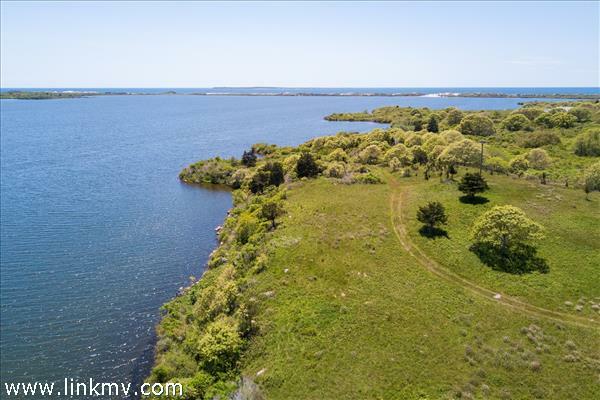 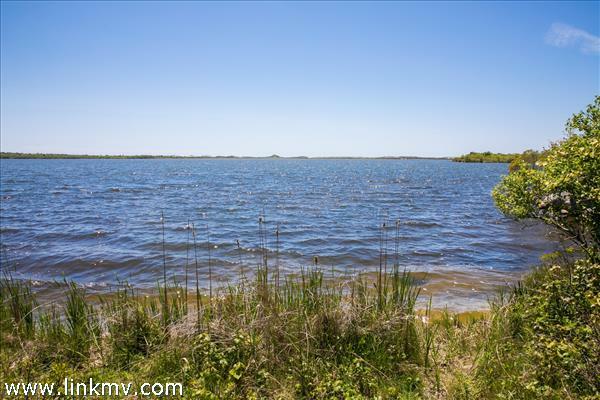 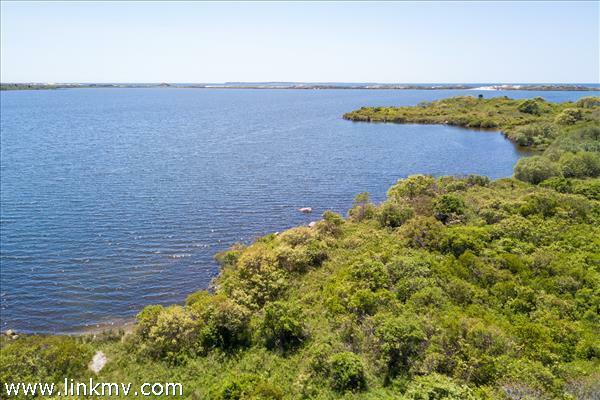 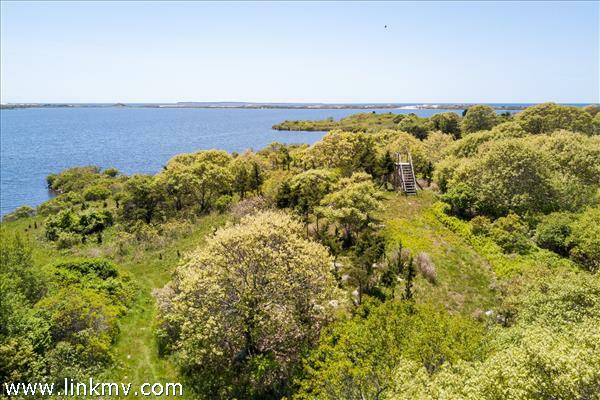 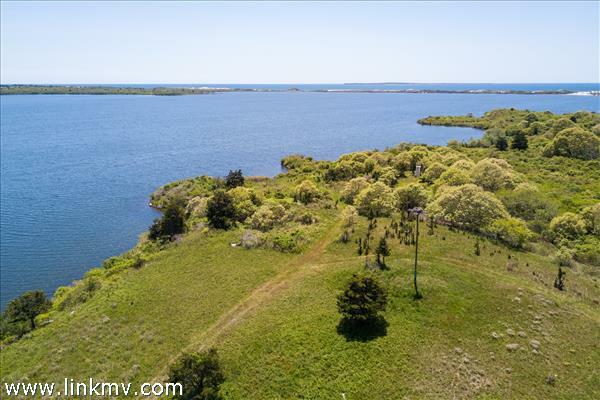 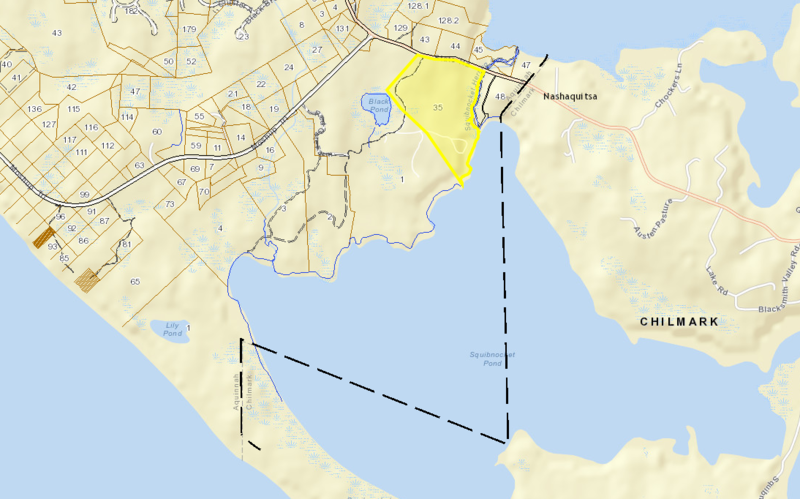 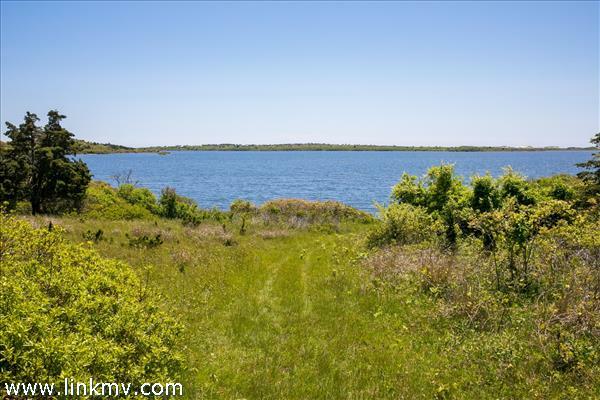 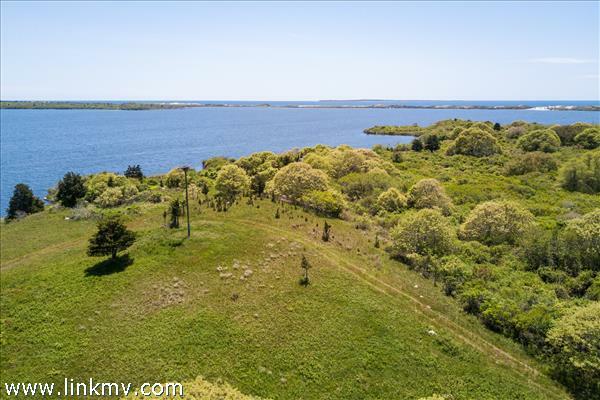 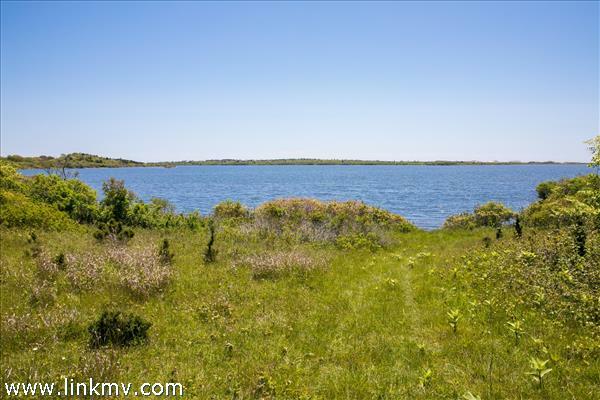 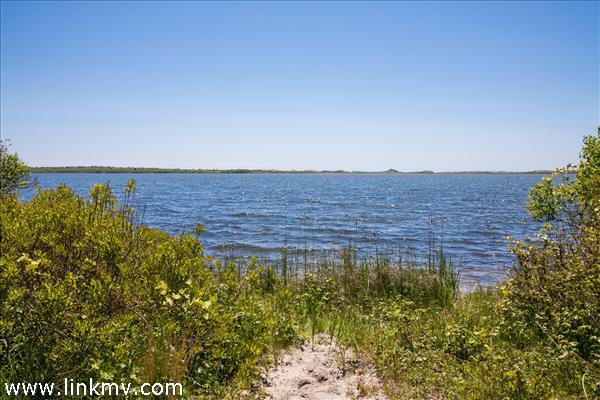 Also enjoying deeded access to the ocean by boating over the pond, as well as by car, the property has been held by the same family for nearly 40 years as part of the Red Gate Farm compound. 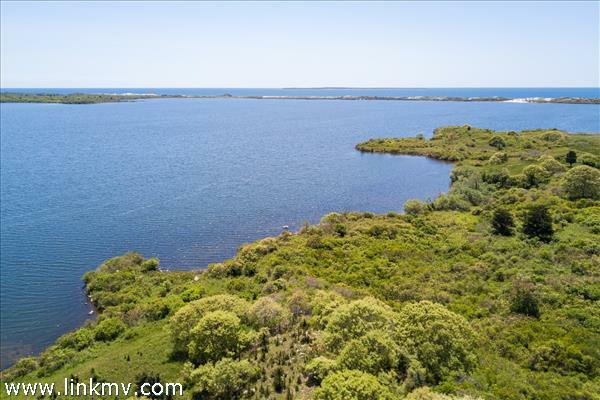 The rare setting on the coastline of Aquinnah, the westernmost outpost of Martha’s Vineyard, is prized for its unparalleled peace and privacy. Contact broker to view or preview.